Withings took its classic stainless steel watch and added an optical heart rate sensor and a digital display. The era of clunky, chunky fitness-tracking bands isn’t quite behind us, but a new crop of trackers prove you don’t have to pick between health and good looks. Withings marries the two in its $180 Steel HR band, which combines the look of a classic analog timepiece with a heart rate sensor for accurate fitness-tracking without sacrificing style. The Steel HR is the next generation of the Activité Steel, which I reviewed more than a year ago and loved. The Steel HR doesn’t look much different at a glance, but don’t be fooled: This is an entirely new experience. Under its new parent company Nokia, Withings hasn’t departed from its classic design sensibility, which takes a cue from Swiss timepieces. But the new Steel HR puts a small digital screen right on its face and a heart rate sensor inside, which makes it a smarter watch and a better fitness tracker. It’s the best of both worlds. The Steel HR provides accurate heart-rate monitoring while you work out and while you sleep. The Steel HR tracks most everything automatically. 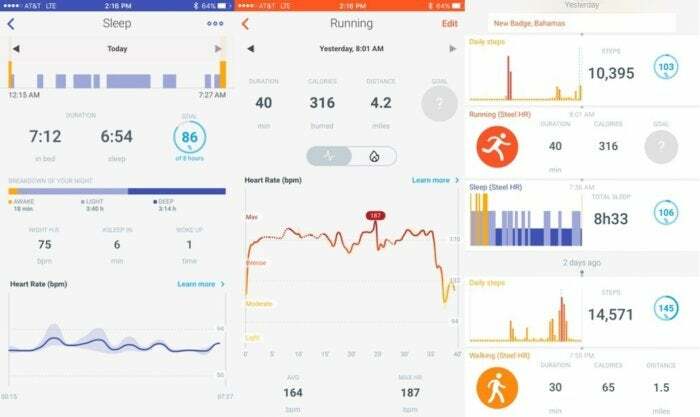 The new optical heart rate sensor monitors your resting heart rate when you sleep and your maximum heart rate during workouts, which is brand new for Withings and a useful addition. If you want to jump-start a workout, just long press the crown on the side and wait for a second until you feel a vibration—that’s the sign that the Steel HR is in exercise mode (though it will automatically track activities like walking, running, and swimming if you forget). The 50-meter water-resistance is also a big selling point, because you can wear the watch all day and night without ever taking it off. Going in the pool? Not a problem. Showering or washing dishes? Not a big deal. The Steel HR’s silicone strap is super soft and comfortable, which is pretty major when you’re wearing it for everything from exercise and work to showering and sleeping. I’m someone who will wake up in the middle of the night from a dead sleep to throw a fitness tracker across the room if it’s itching my wrist, but no problems with the Steel HR. Another big deal is the watch’s long battery life—up to 25 days, Withings says, although I haven’t hit that mark yet and I’m going on two weeks of daily wear without needing to charge up. Other fitness trackers with displays and heart rate sensors need to charge at least every five days, if not quite a bit more. My Apple Watch needs a nightly charge, though I can stretch it to two days if I don’t work out and enable Power Reserve mode to squeeze more out of the last 10 percent. 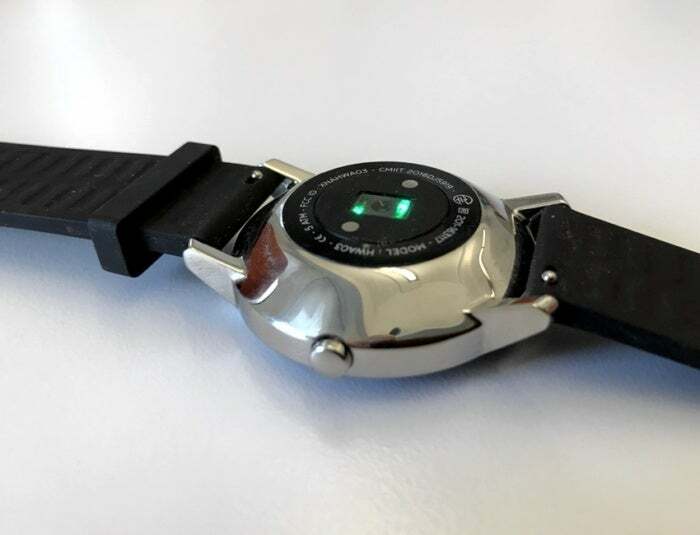 The downside of charging the Steel HR should you need to is its magnetic charging cable, which takes a cue from the Apple Watch charger—but is so cheap as to be basically useless when it comes to getting the device to stick. You’ll eventually get the charger to start charging, but it’s irritating to say the least. All of the data collected by the Steel HR is synced to the Withings Health Mate app. Too bad the mileage isn’t accurate. Aside from that, the biggest problem I have with the Steel HR as a fitness tracker is its accuracy. The watch overestimated my running distances by at least a half-mile every time. Those estimates were off when I activated workout mode by pressing the crown and when I let the Steel HR track my exercise automatically. Serious runners might want to look for a device with on-board GPS, or at least one that uses your phone’s GPS for more accurate data. The Steel HR has a small round digital screen is unobtrusively placed just above the dial. On the black version’s face, you barely notice it’s there, because it stays off until you press the crown. A black screen on the white face is a little more obvious, but it all depends on your style. The Steel HR’s digital inlay is almost unnoticeable. The digital screen offers up tiny snippets of information, including day, time, heart rate, step count, daily mileage, and alarm. You can page through this information by pressing the crown on the side. Press the crown longer to start a workout, which will turn on continuous heart-rate monitoring. All of these are brand new to the Steel HR, which makes it worth the premium over the last-gen model (which was $170 at launch and has since been dropped to $150). The HR version is $180 for the 36mm option and $200 for the larger 40mm model. That’s a bit more than the $150 heart rate-tracking Fitbit Charge 2, but $30 will buy you tons of style points. Your mileage may vary. Back to the digital screen, which also shows notifications from your phone, including calls, text messages, and calendar alerts. You won’t see incredibly detailed information, like a full text, but you will see who has messaged you and decide whether it’s important enough to check right away. I like that Withings didn’t go fully digital with the Steel HR. The device has an analog subdial beneath the digital screen, which displays the percentage you’ve made toward your daily step goal at a glance, just like its predecessor did. 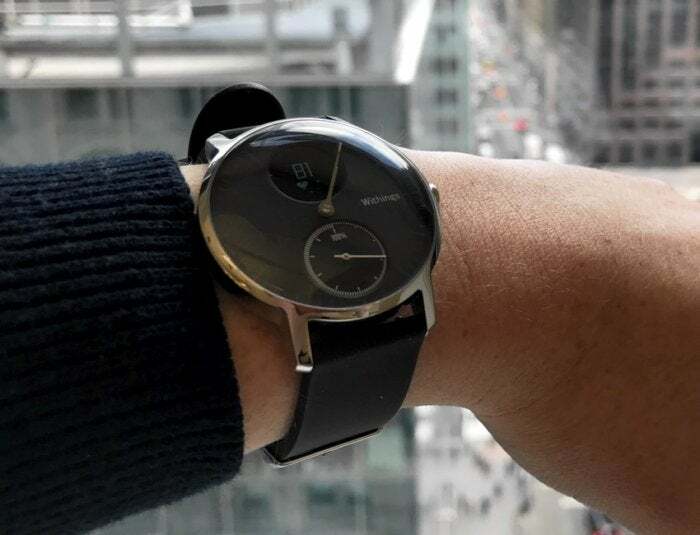 Withings nailed the combination of style, comfort, and health features with the Steel HR. If this watch had built-in GPS, it would be my go-to fitness tracker. If you’re looking for a classic, affordable watch that can monitor your sleep and activity without a lot of fuss, the Steel HR is it. It’s not perfect, but it’s damn good. 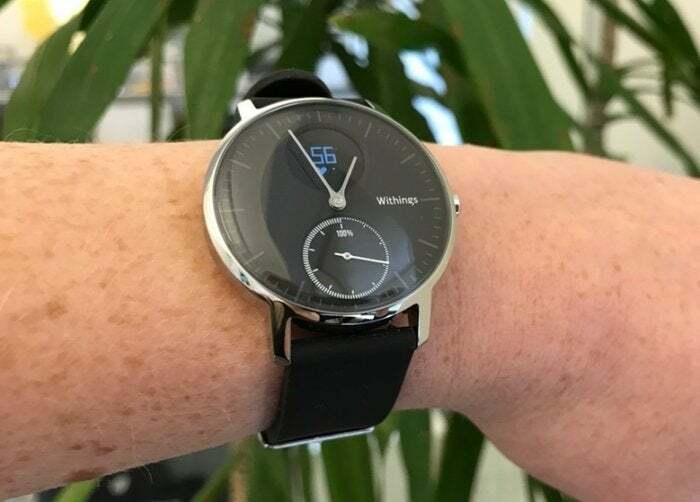 This story, "Withings Steel HR review: A hybrid smartwatch with heart" was originally published by Macworld.